Q: Last week I was talking to a co-worker and said, “what if there was a Hunger Games between Ravens fans, Eagles fans and Raiders fans? Put them all together in an arena and fight to the death. Who would win?” My co-worker, a Ravens fan, immediately said, “I would totally sign up for that.” What fans would make up the most epic Hunger Games, and what would your criteria be? And who would be your winner? My criteria was a rabid fan base, and a fan base that would immediately respond: “Where do I sign up?” P.S. I don’t know what’s worse: that I thought about making the Hunger Games real, or that I thought about not writing this to you because I was afraid these fans bases might actually do it. SG: What a great question. The only thing we know for sure about the Fan Hunger Games: Cleveland fans would definitely make it to the Final Four before getting killed in the most agonizing way possible. For the other favorites, I’m leaning toward cold-weather fan bases like Boston (a history of dropping the gloves dating back to the 1770s), New Jersey (no need to explain), New York (biggest base to pick from), and Detroit/Baltimore (blue-collar). You also can’t underestimate some of the hockey-crazed Canadian cities if only because the NHL playoffs prove every spring that Canadians are supernaturally tough and can keep chugging along even when they’re semi-concussed or bleeding from three different places. Still, I think Philly fans would have to be ranked as the favorites for two reasons. First, if you asked 100 random people the question, “What fan base is the most likely fan base to start a real-life Fan Hunger Games?,” Philly fans would run away with the vote. They just would. That has to mean something. And second, Philly fans are the only fans who would take it personally if they weren’t the favorites for the Fan Hunger Games. Boston fans would quietly smolder about being overlooked, then bide their time, relish being under the radar and get their revenge when the Games started. But Philly fans? They’d feel like it was a total slap in the face if they weren’t favored. So who’d actually win? Here’s the wild-card component: Boston fans and New York fans would deliberately seek each other out and fight to the death. There would be no winners. Same for Philly fans and New Jersey fans. All four fan bases would be wiped out in the first 25 minutes. That leaves a Final Four of Baltimore, Detroit, Cleveland and (in a huge upset) … Portland! Have you ever seen the Trail Blazers message boards? Those frustrated fans are more than ready to take out 35 years of Walton/Bowie/Jordan/Oden/Durant/Roy bitterness in the form of controlled bloodshed. I have them shocking Baltimore in the semis before falling to Detroit in the Finals. But hey, if you disagree and want to cast your own vote, click on Grantland’s Facebook page and weigh in. 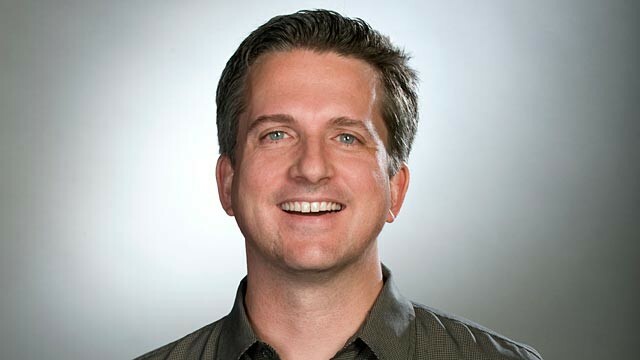 For those of you who don’t know, Bill Simmons is known as the “Sports Guy” and is probably the most popular sportswriter in the United States. You can read Bill Simmons’ entire mailbag HERE!